Tire Source’s location in Canton, Ohio. 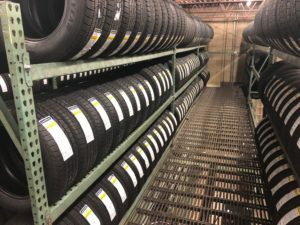 For Tom White and Drew Dawson, founders of Canton, Ohio-based Tire Source, success has come from making a move, assessing the results and quickly reacting if an adjustment is needed. Perhaps the most important part is doing so objectively and without ego with an eye toward the health of the company and the future of the industry. The pair of childhood friends and, later, former coworkers at Goodyear Tire & Rubber Co., made their first leap in 1991, purchasing their first tire store together. Now 27 years later, their business – a 2018 Tire Review Top Shop Award Finalist – encompasses six northeast Ohio retail locations, employs a staff of 53, and saw gross sales of $7 million in 2017. While it wasn’t without obstacles along the way, the pair’s – and the dealership’s – success is evidenced by growth, their customer-service philosophy, treatment of employees, and staying up-to-date when it comes to the latest industry trends, among many other factors. Combining their retail and commercial tire backgrounds with their entrepreneurial spirit, Tom and Drew purchased a Goodyear company-owned store in Medina, Ohio, renaming it Medina Discount Tire & Automotive Service. The goal always was to build a top-class, multi-store tire and automotive repair facility, according to Tom, but as anyone in the industry knows, this is far easier said than done. 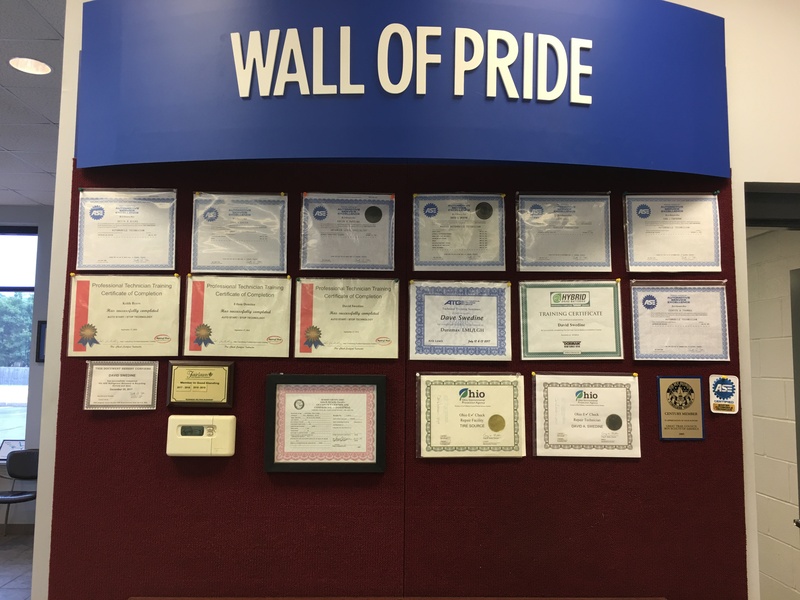 The Tire Source “Wall of Pride” is adorned with the staff’s awards and accolades. In the beginning, the biggest challenge was finding the right team, according to Tom, who says there was a lot of turnover the first few years, until he and Drew learned how to improve their hiring procedure. “We are fortunate now to have a solid team of very good associates,” he says of the workforce, which includes General Manager Patrick Stuhldreher, who has been with the company for 21 years, as well as Tom’s son, TJ, who has been working for the family business for nearly a decade and currently serves as a store manager. “It took us a while to go from one location to two because what happens is you pour your heart and soul into that (first) store, and you want it to do as well as possible, and then you kind of take your vision off the big picture of growing,” says Tom of the time prior to 1995 when they purchased the second location, named Canton Discount Tire & Automotive Service. After two more locations were purchased – North Canton in 1998 and Montrose in 2001 – Tom and Drew undertook a rebranding effort in 2002. While the name of each store had been community-centric, the pair felt it was time to create a unified look and feel in order to build brand equity. “After exploring numerous names, Tire Source resonated with both of us,” Tom recalls. The name, logo and color scheme carried through when the two most recent locations were added: Belden Village in 2004 and Alliance in 2016. Today, the thriving company has a sales mix of 40% tires and 60% vehicle service, all from retail sales (no commercial or wholesale). A member of the Goodyear Tire and Service Network and Carquest Tech Net, the dealership regularly stocks Goodyear, Dunlop, Kelly, Continental, General and Hercules tires. 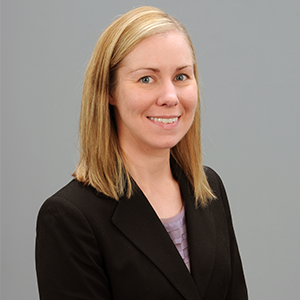 Now, Tire Source’s digital marketing involves promotions across seasons and across service offerings so its online materials and offline materials are always fresh and in step with one another. A post from Tire Source on Facebook. The digital marketing mix includes: search and display ads through Google Adwords; monthly marketing emails to customers; social media marketing for community building; paid advertising through Facebook to promote current offers to new and existing customers, and in-store photo sessions and interviews with employees to highlight the staff and build a connection with the communities served. Patrick meets with the ad agency, Sanctuary Marketing Group, monthly to review the performance of each campaign based on traffic, social media interactions, click-throughs and more. Adjustments are made, if needed, based on the results. Another key component is the utilization of Podium Review Generation Software to garner online reviews and customer feedback. Every afternoon, the software pulls information from the Tire Source point of sale system and sends a text message to the previous day’s customers asking them to give a review of the shop on Google or Facebook. 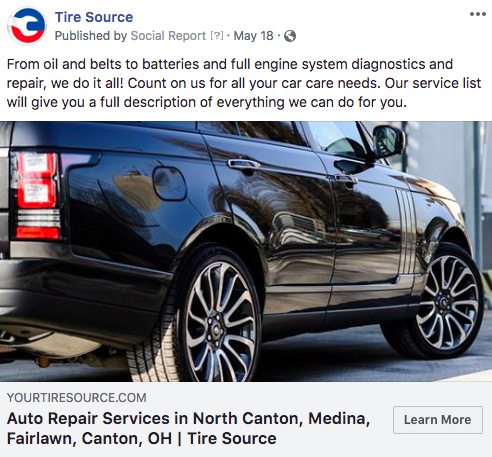 The attention to detail extends to customer service, where the company’s “Tire Source Advantage” is touted on its website and in other marketing materials. Among other aspects, the term promises that: the staff treats customer cars like their own; top-quality products and service are the norm; waiting rooms should be clean and comfortable; customers receive lifetime rotation and balance service with any tire purchase; and free services are offered, including alignment checks with a tire purchase and installation, pressure checks and inflation service, courtesy transportation and roadside assistance. Tire Source offers its customers a rewards program that is free to join and gives participants discounts toward service, a gift card on their birthday and points on every dollar spent to save and redeem for any product or service. In an effort to further build customer trust through transparency, Tire Source began offering Car Side vehicle inspections this year. The web-based subscription offered through the dealership’s point of sale provider takes vehicle inspections online, making it easier to explain and show customers issues with their vehicles, as well as get in touch with them in the first place. In a retail market, customers want convenience. This presents a challenge to tire dealers, as lengthy phone calls and voicemails are inefficient for both customers and service providers. “Car Side includes a platform that can reach out to customers via text message and/or email. Upon receipt of the message, Tire Source customers are able to recognize an update on their vehicle, quickly view their inspection reports, and understand recommended services. They can then follow up with a reply via text or phone call that fits within their busy schedule,” Tom explains. Inspection reports are easy to read, aesthetically pleasing and interactive. Tire Source is able to illustrate and explain the need for any recommended service, and customers can navigate the vehicle conditions at their own pace and with a more thorough understanding. Each Tire Source store is woven into the fabric of the community in which it is located, from the locally hired staff to the charities and organizations the company supports. The funds raised at Tire Source’s annual golf outing, now in its fourth year, are split and donated to two charities. There have been several past recipients, but Tom notes that a local battered women’s shelter, as well as Boy Scouts of America, are two that have been particularly meaningful to him. So far, the golf outings have raised a total of $118,000 for local charities. In addition, for the countless schools, churches, police and fire departments, and other organizations that approach the company, Tire Source has donated gift cards, tires or other services. 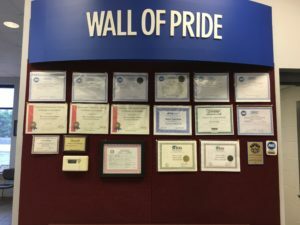 Adding to those community ties, the dealership is a member of the Canton, Fairlawn and Medina chambers of commerce, as well as the Better Business Bureau, Ohio Tire and Automotive Association, Ohio Retail Merchants and the Tire Industry Association. While the pair initially struggled to put together the right team at their fledgling dealership, today Drew and Tom recognize that their success is due, in large part, to their staff. Incentive plans reward employees for their outstanding service – and loyalty – and are tailored to reflect the motivating forces of each staff member. 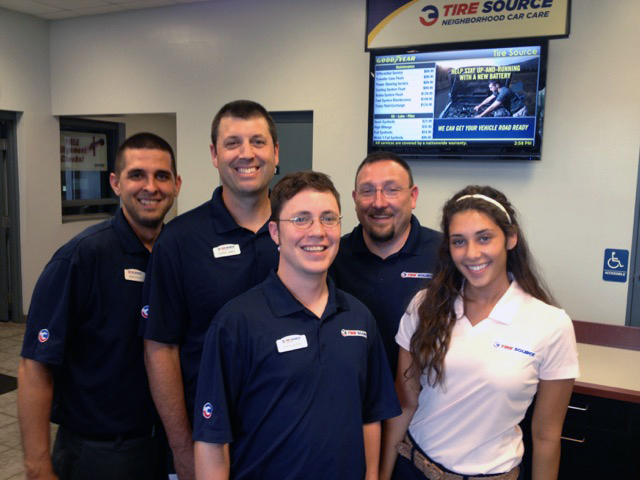 All Tire Source associates take Goodyear training classes and must pass Goodyear’s Tire Expert testing. They’re also required to take ASE certification tests in their respective fields. In addition, staff members take classes from the company’s partnership with TechNet, and Tire Source attendees at the SEMA Show have never missed a “Tires at 2” seminar. Tire Source’s steady growth hasn’t always been without challenges, which have helped Drew and Tom fine-tune their approach over the years. For example, when the pair purchased the Belden Village store in 2004, it actually was a package deal in which they had to purchase another store in nearby Massillon, as well. “The Belden Village store was a perfect fit for our model, but the Massillon store wasn’t – but we had to sign an agreement to run that for two years,” Tom explains. “We didn’t do that great there, and we sold the Massillon store the day that two-year anniversary rolled around. 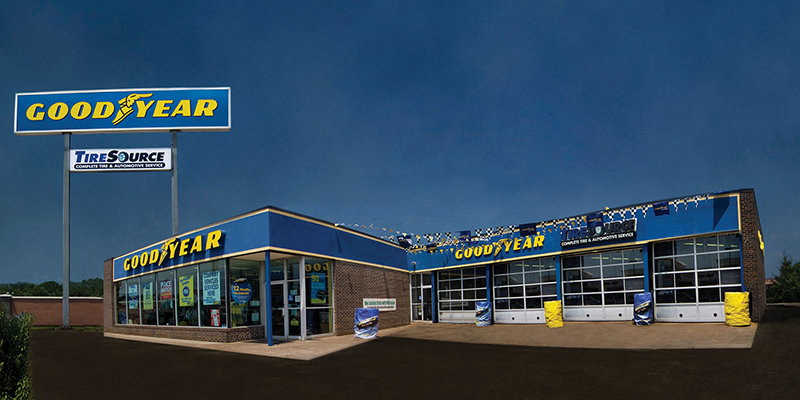 Tire Source locations regularly stock tires from Goodyear, Dunlop, Kelly, Continental, General and Hercules. In line with the concept of growth where it makes sense, the pair has chosen to embrace the future when it comes Tire Source being a player in the e-commerce arena. The dealership is an installer and has been an advocate for both tirebuyer.com and goodyear.com. Looking toward the long-term future, Tom’s succession plan is to someday leave the company in TJ’s hands. Drew, who is still a friend and owner of Tire Source, is now less involved with day-to-day operations as he is president of Barberton, Ohio-based JohnDow Industries, which manufactures automotive shop equipment and supplies. While working from the bottom up, TJ has been learning from his dad just how the company runs and grows. Tom’s plan has been to hand down responsibilities to TJ as he has come along in the business. Tom will someday leave “knowing the company is in the hands of someone who cares about Tire Source just as much as I ever did,” he notes. As far as his involvement in the family business, TJ recalls, “It started back when I was really young, when they did the Belden Village and Massillon transition. There was some work that needed done in those stores before they were opened, and my dad would go some evenings after work and he would bring me along. I was able to see the shops from the inside out and it sparked my interest. When it comes to answering the question of why each loves being a tire dealer, it’s easy to tell that Pat, TJ and Tom are all on the same page: it’s the people and the relationships with each other, their employees and customers, and others involved in the tire industry.